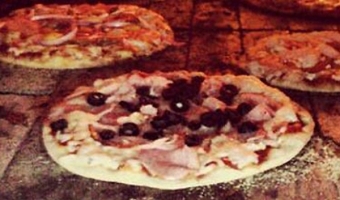 The Whytewold Emporium is known for our cherry & oak wood fired pizza. We use fresh quality produce and a special blend of low fat mozzarella on 60% whole wheat thin crust pizza dough. By growing our own herbs in-house, we guarantee that they are always fresh! 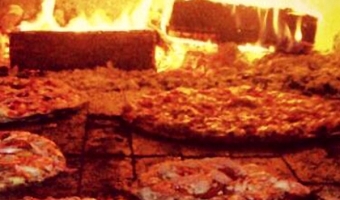 And for those with gluten sensitivities, we also serve delicious gluten-free wood fired pizza! Healthiest Ingredients: <br/>Only the finest quality meats, low fat mozzarella, whole wheat crust...all our herbs are ultra fresh & homegrown for optimum flavour. Brick Oven Flavour: <br/>Nothing tastes quite like wood-fired pizza from an outdoor brick oven. We also offer a gluten-free option of the wood-fired. 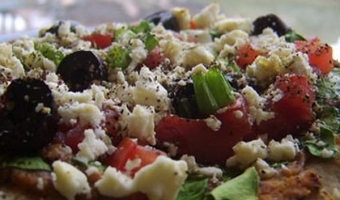 The Greek: <br/> A classic Mediterranean pizza with spinach,feta, garlic, black olives, and tomatoes. 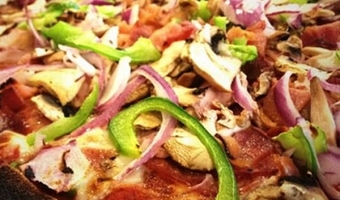 The Village: <br/> Super meaty!...Pepperoni, smoked ham, bacon, salami, mushrooms, onions, and green peppers. 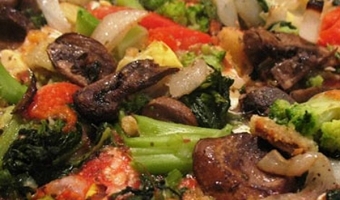 The Beach: <br/> Broccoli, spinach, tomatoes, sun-dried tomatoes, and mushrooms. A veggie-lover&#039;s dream. 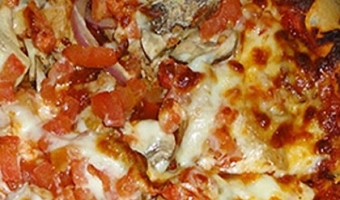 Drunken Chicken Pizza: <br/> Our speciality! Marinated bbq chicken, tomatoes, onions, mushrooms, havarti & mozza cheeses, garlic and herbs. Whytewold Emporium fire roasted Drunken Chicken pizza is amazing. We loved it...great crust and infusions of taste distinctions. Only have praises to say about this awesome restaurant...Gorgeous décor, atmosphere... 10 out of 10 for the food... my favorite is the pizza cooked on the outdoor fire pit !!! Supper at Whytewold Emporium last night. Their Village pizza is super delicious!